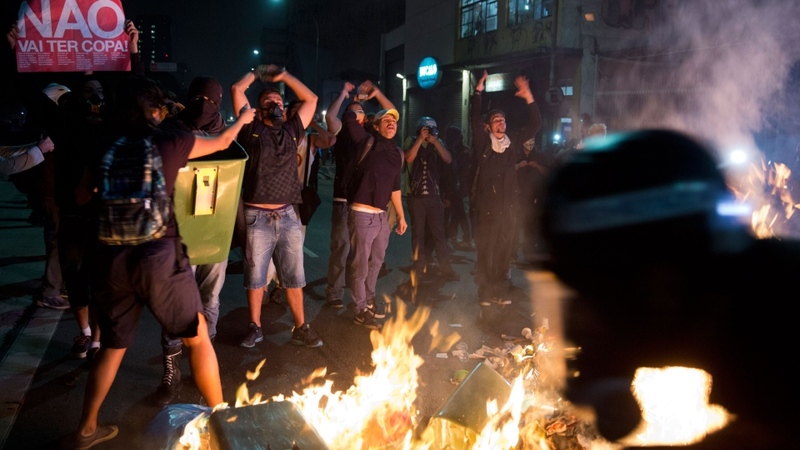 SAO PAULO, Brazil -- Protesters and police clashed in Sao Paulo Thursday, as demonstrations against the World Cup and rallies calling for improved public services erupted in several Brazilian cities. Officers in Brazil's largest city fired tear gas and rubber bullets at protesters who set piles of trash alight to barricade a central avenue. Demonstrators blasted the billions spent to host next month's soccer tournament and said they wanted to draw attention to what they called a lack of investment to improve poor public services. "We are beginning to gain strength to go against the injustices of the World Cup," said Luana Gurther, a social sciences student. 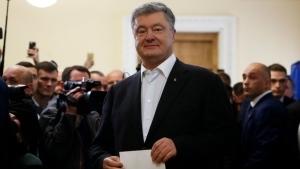 "We are the ones who should decide where the public money goes. More funding for schools, hospitals, housing, transportation-- not the Cup." Gurther and thousands of other mostly young protesters gathered on a main business avenue in the city of 11 million, loudly beating drums and cans and raising banners with messages such as "less money for the Cup and more for housing." Protesters staged a soccer game with dirty tactics, and one man put on a costume of a giant skeleton dressed as a Brazil player. While widespread, the rallies were far smaller than the protests that engulfed the nation last year. 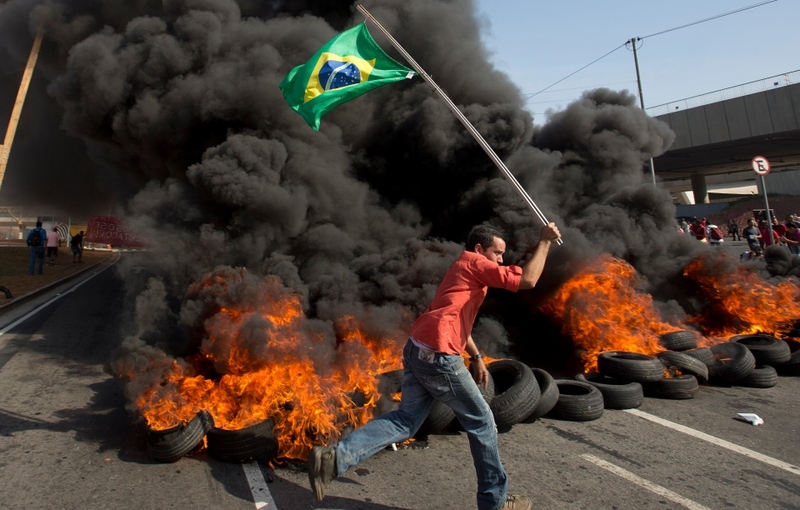 Thursday's demonstrations blocked two key roads into Sao Paulo during the morning commute. Outside the new stadium that will host the opening match of the Cup, about 1,500 activists fighting for more housing waved Brazilian flags as black smoke rose from the flames burning tires. "Our goal is symbolic. 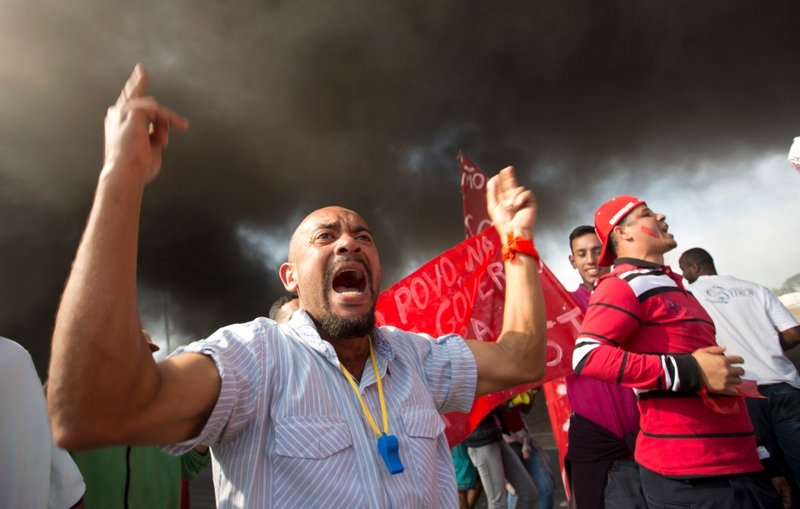 We don't want to destroy or damage the stadium," said Guilherme Boulos, head of the Homeless Workers Movement, whose activists gathered at Itaquerao Stadium on the eastern outskirts of Sao Paulo. "What we want are more rights for workers to have access to housing and to show the effects the Cup has brought to the poor." The group claims many people have been forced out of their homes because of rising rents in the neighbourhood around the new stadium. Police blocked the main entrance next to a construction zone where cranes and other machines were lined up to carry materials still needed to finish the soccer arena. As night fell, rallies were held in Rio de Janeiro, causing chaos for traffic in the centre of the city. In the capital Brasilia, protesters carried banners reading "FIFA Go Home," while in another Cup host city Belo Horizonte, about 2,000 people took to the streets to complain of the soccer tournament. In northeastern Brazil, looters ransacked stores in the World Cup host city of Recife, where a police strike led to lawlessness. Police there entered the third day of a strike for a 50 per cent pay hike. Authorities said they'd already decided to cancel two professional league soccer matches slated for this weekend in the city. "They are obviously using the proximity of the World Cup to pressure us to give into their demands," government press officer Manoel Guimaraes for the state of Pernambusco, home to Recife. Recife will host five World Cup matches, starting on June 14. The demonstrations Thursday were being watched as a test of the government's ability to maintain security during the World Cup. Huge anti-government protests across Brazil last year overshadowed the Confederations Cup, a warm-up tournament for the World Cup. Many of the demonstrations saw clashes between activists and police, and at least six people were killed. Many Brazilians are angry at the billions spent to host the World Cup. Protesters have said the government should focus spending instead on improving Brazil's woeful health, education, security and infrastructure systems. Brazilian leaders had hoped the World Cup and then the 2016 Olympics in Rio would put a favourable spotlight on the country, showing advances over the past decade in improving its economy and pulling tens of millions out of poverty.